Vesper Marine, a leading manufacturer of innovative marine safety products, announced today the release of its revolutionary smartAIS technology. Combined with award-winning, proven Vesper Marine products, smartAIS provides new capabilities – including the world’s first black box AIS transponder with built-in safety alarms – to make boating safer and more enjoyable. Unlike other manufacturers’ solutions that simply send and receive AIS data, Vesper Marine’s smartAIS goes much further. An active system with smart alarm logic, it proactively alerts boaters of potentially hazardous situations. Putting users in control, smartAIS combines navigation sensor data, and GPS and AIS information, with intelligent alarm management that prioritizes alerts for the most urgent response. 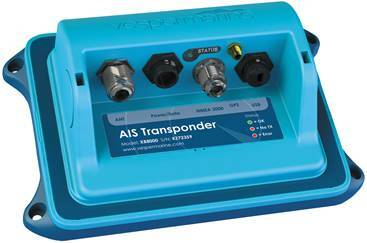 While traditional AIS transponders require additional equipment to trigger alarms, Vesper Marine’s smartAIS units continuously calculate crossing situations and generate collision alarms for critical action, alerts the crew of anchor dragging, and activates alarms for immediate man overboard (MOB) retrieval. The WatchMate XB-8000 smartAIS transponder is the world’s first black-box AIS transponder to incorporate built-in safety alarms to alert boaters of potential collision situations, dragging anchor or man overboard situations. New capabilities include collision prevention alarms; alarm profile management with Closest Point of Approach and Guard zone settings; and Anchor Watch capabilities with Move Anchor Position and Breadcrumbs of past positions of the vessel. An extensible platform, smartAIS receives new innovative features updated automatically through a smartphone and the Vesper Marine WatchMate App. The smartAIS device includes WiFi connectivity for up to 5 mobile devices anywhere on board, allowing boaters using the WatchMate App to monitor vessel information, manage alarms and much more – right from their device. WatchMate Vision smartAIS has also been upgraded to include MOB labeling and an enhanced user experience on the App. The smartAIS Anchor Watch is a unique feature of AIS transponders. 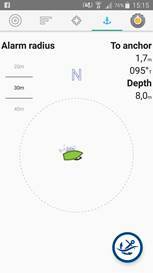 It tracks vessel position in relation to the anchor and marks positions over time to determine if the anchor is dragging. 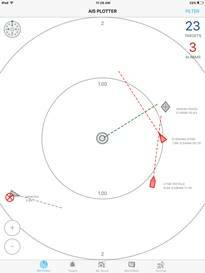 The alarm sounds if the boat drags outside a circular zone configured around the set anchor position. Additionally, on WatchMate Vision, users can set customized alarms for increased wind speed, wind direction change or minimum water depth. Even if a multifunction display or mobile device is powered off or the app is closed, the smartAIS Anchor Watch continues to monitor the situation and sounds the associated alarm when triggered. The Vesper Marine smartAIS system is always watching for MOB situations. If a crewmember, who is equipped with an AIS MOB device from any manufacturer has fallen overboard, smartAIS will immediately sound its associated alarm and continuously update the individual’s location, bearing and range for easy retrieval. It can also be configured with MOB labelling which associates MOB devices to customizable names so that when an alarm is triggered, the system displays the name of the crewmember for quick and easy recognition. MOB labelling is available on WatchMate Vision. The smartAIS proactively alerts boaters when there is a potential collision situation. Combining GPS data such as position, course and speed; along with, AIS data and smart alert logic it continually determines safety implications and alerts users using both the associated alarm and mobile devices. It computes the closest point of approach and time until the closest point of approach and has critical alarms to warn of vessels posing a collision risk with information about the approaching vessel. Updating smartAIS transponders with new features and capabilities is effortless. Whenever there is a new firmware release and a mobile phone is connected to the internet, users will receive a notification on the WatchMate App of the update. Once the smartphone is linked to the transponder, the transponder is automatically updated. All existing WatchMate Vision and WatchMate XB-8000 users will receive the latest functionality. Upgrades don’t require additional wiring, visits by a marine electronics technician or sending the equipment back to the distributor or manufacturer for upgrades. To make it easy to take advantage of the new smartAIS technology, the WatchMate XB-8000 will include an external alarm and switch for a comprehensive solution, that can be mounted anywhere on board. Alarm and switch kits will be available in March 2017 and will be shipped to all customers purchasing this transponder from today. Future units will have them included in the transponder package. 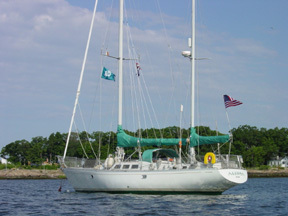 For more information on smartAIS, Vesper Marine, or its entire product line, please visit www.vespermarine.com.